Let us make your arrival or departure from the Airport smooth and easy! We can handle all of your transportation needs to and from DFW Airport or Love Field. Our punctual and professional Roanoke Limo Drivers will make sure you arrive on time for your flight, or take you from the Airport to your destination in comfortable luxury. Our Modern Fleet of Limos and cars provide luxury and reliability for the most discerning Corporate client. Our Limo will arrive ahead of time at DFW Airport or Love Field so that you are on time to your Dallas, FT Worth, Denton or Metroplex Hotel, Meeting, Event or other Destination. When you are ready to depart, we will make sure you arrive at Dallas/Ft Worth Airport or Love Field in one of our Grand Limos with plenty of time to make your flight. 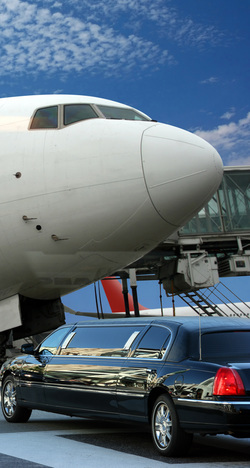 Your personal Chauffeur will take care of your bags and make your travel comfortable. Sit back, relax and enjoy the Ride!